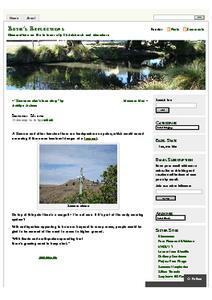 Showing 1 - 20 of 38 results. 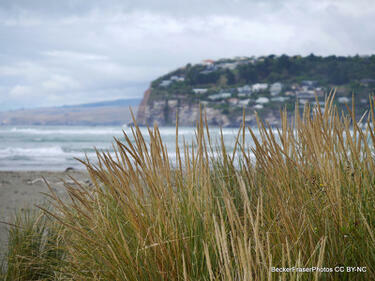 Sumner photographed from South Brighton. 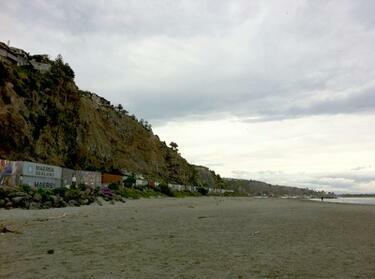 A woman walking her dog along Sumner Beach. 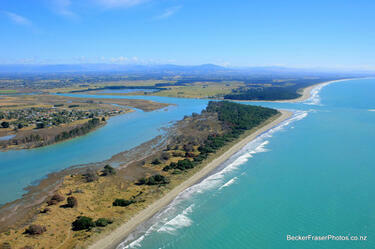 An aerial photograph of Kairaki over the Waimakariri River. 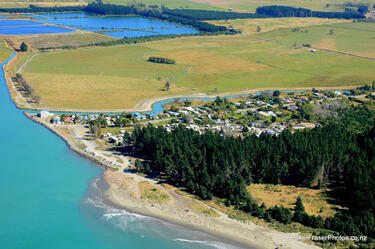 An aerial photograph of Pegasus Bay near the mouth of the Waimakariri River. 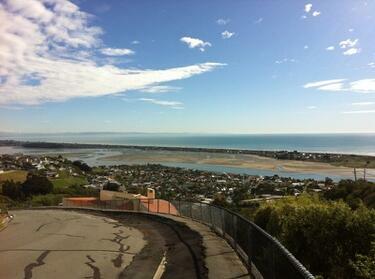 To the left, Brooklands can be seen as well as Kairaki in the distance. 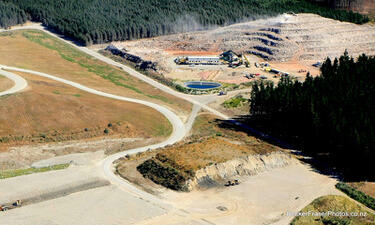 An aerial photograph of the Waimari Beach Golf Course in Waimari Beach. 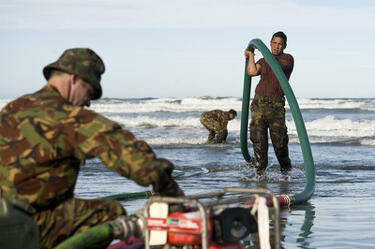 New Zealand Army Engineers working at New Brighton beach to provide desalinated water for residents affected by the 22 February 2011 earthquake. 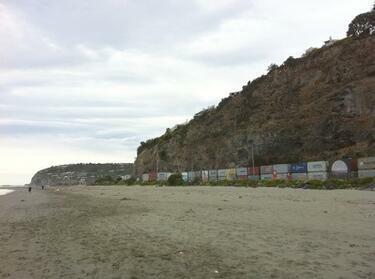 Photograph captioned by BeckerFraserPhotos, "Taylors Mistake beach". 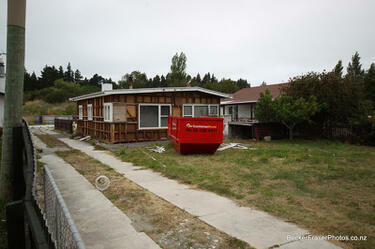 Photograph captioned by BeckerFraserPhotos, "Looking east along Beach Road towards Bower Avenue. 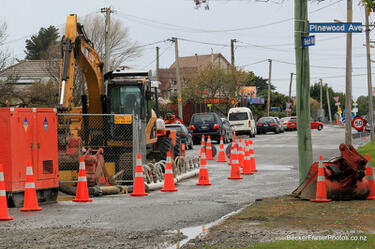 Machine is pumping out groundwater and filtering silt. This piece of road is zoned orange on the left and green on the right". 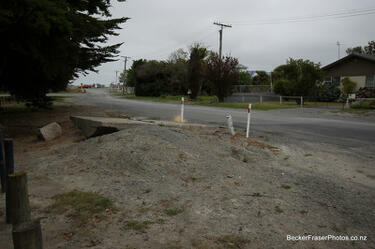 A photograph of a damaged culvert. 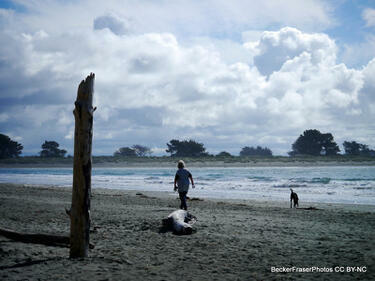 The photograph is captioned by BeckerFraserPhotos, "Pines Beach". 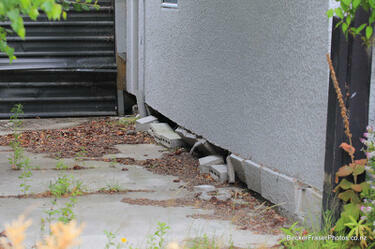 A photograph of a damaged house. 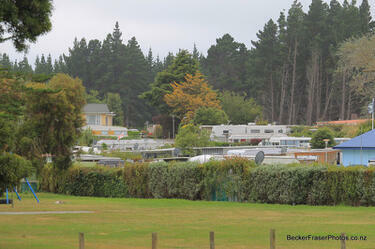 The photograph is captioned by BeckerFraserPhotos, "Featherston Avenue, Pines Beach". A photograph captioned by BeckerFraserPhotos, "Pines Beach motor camp". 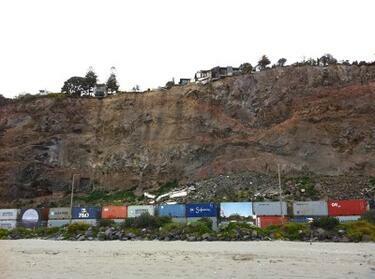 A photograph of shipping containers lining the cliffs along Main Road in Sumner. 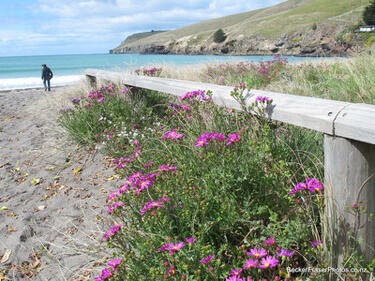 An entry from Ruth Gardner's Blog for 11 January 2014 entitled, "Sumner Sirens". 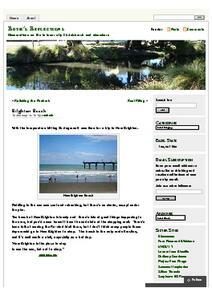 An entry from Ruth Gardner's Blog for 17 January 2014 entitled, "Brighton Beach". 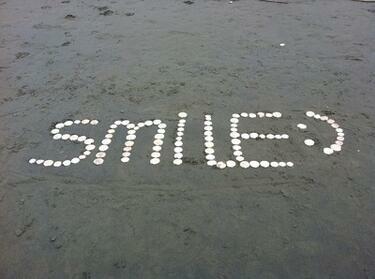 A photograph of shells on a beach arranged to spell out the word 'smile' and a smiley face. 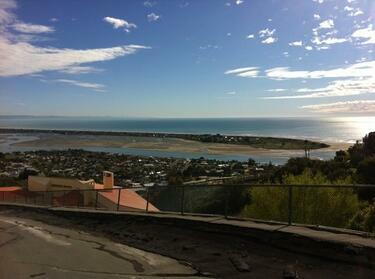 A photograph looking out over Sumner and Southshore, taken from a hill near Sumner.